This webinar will delve into the realm of New Generation Solar Cooling and Heating Systems (PV or solar thermally driven systems). Key data and findings of IEA Solar Heating and Cooling Programme (IEA SHC) Task 53 will be highlighted and discussed. The working of this Task created fruitful cooperation between nearly 30 experts from 8 countries from 2014 to 2018. The main objective of Task 53 is to assist a strong and sustainable market development of solar PV or new innovative thermal cooling systems. It is focusing on solar driven systems for both cooling (ambient and food conservation) and heating (ambient and domestic hot water). The webinar is organised by the Solar Academy of the IEA SHC Programme and hosted by ISES, the International Solar Energy Society. Five experts will speak during the 1.5 hours webinar. Recording will be available online afterwards. Dr. Daniel Mugnier, Operating Agent of the IEA Solar Heating and Cooling Program for the Task 53, will shortly present the Task 53 structure, the scope and the main objectives of this Task. Prof. Marco Beccali, Full Professor on Applied Physics and HVAC Systems at the Polytechnic School of the University of Palermo (Italy), will make a short introduction on the solar heating and cooling systems performance, followed by a presentation of ELISA “Environmental Life-cycle Impacts of Solar Air-conditioning systems”. Dr. Sonia Longo, Researcher the Department of Energy, Information Engineering and Mathematical Models, University of Palermo, will present the Application of the ELISA tool to a case study. 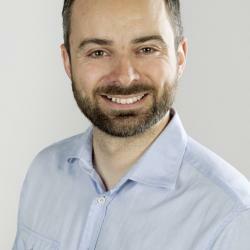 Daniel Neyer, PhD Candidate and Senior Researcher at the Unit for Energy Efficient Buildings at University of Innsbruck, will present technical and economic assessment and benchmark results of best practice examples of new generation solar thermal and PV driven heating and cooling systems. 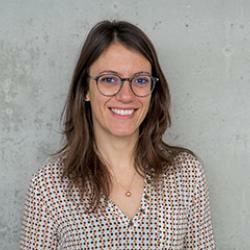 Dr. Chiara Dipasquale, Senior Researcher at the Institute for Renewable Energy at Eurac, Italy, will present a set of model-based results of residential buildings located in different European climates. In particular, she will report on HVAC systems performance when coupled with different orientations and sizes of photovoltaics or solar thermal fields. The webinar will be moderated by Bärbel Epp, founder and managing director of agency Solrico, the solar research and worldwide communication network for solar themal professionals. For questions about the webinar, please do not hesitate to contact us at public.relations@ises.org - This webinar is free for all to join! Dr. Daniel Mugnier has a long professional experience in engineering solar thermal systems for large DHW applications and above all solar heating and cooling systems. Managing the solar cooling department of TECSOL - one of the French leading solar engineering company - Daniel Mugnier is involved as well in numerous R&D projects on solar cooling at the national, European and international level. He is also author of several publications and presentations in international conference on solar cooling. TECSOL has achieved more than 50 feasibility studies on solar cooling and designed 10 working installations at the moment since 1990 on solar heating and cooling. He is currently Chairman of the IEA Solar Heating and Cooling Programme, Vice Chairman of the European Solar Thermal Technology Platform and Operating Agent of the IEA Solar Heating and Cooling Program for the Task 53 dedicated to the New Generation of Solar Cooling and Heating systems (PV or solar thermally driven systems). 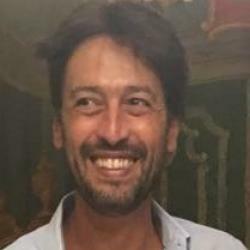 Marco Beccali, PhD is Full Professor on Applied Physics and HVAC Systems at the Polytechnic School of the University of Palermo (Italy) and dean of the degree course of Energy Engineering. In the last twenty years, he has been working mainly on topics of Solar Heating and Cooling systems, especially in Open Cycles for Air Conditioning also participated in many tasks of the SHC Programme of the International Energy Agency. He was a member of many Conference Scientific Committees and has been Chairman of the 3° OTTI International Conference of Solar Air Conditioning held in Palermo, October 2009. He is a member of the National Board of AICARR, the Italian correspondent of REHVA. He is the author of four books and about 200 papers on scientific journals and conference proceedings. 73 articles are indexed in the Scopus database with 1900 citations and h-index 24. Sonia Longo is researcher the Department of Energy, Information Engineering and Mathematical Models, University of Palermo, Italy. She has a M.Sc in Environmental Engineering and a PhD in Applied Physics. Her main research interests are: eco-design and life cycle assessment, energy and environmentally extended input-output models, renewable energy technologies, energy planning, sustainable building and Net Zero Energy Buildings. She is author of more than 110 papers for conferences, national and international journals. She is coordinator of the working group Energy and sustainable technologies - Association Italian LCA Network and co-subtask leader of the dell’Annex 72 IEA EBC “Assessing life cycle related environmental impacts caused by buildings”. 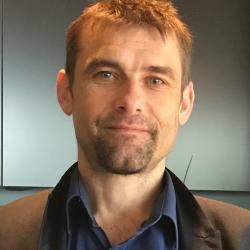 Daniel Neyer is senior researcher at the Unit for Energy Efficient Buildings at University of Innsbruck and CEO of his consulting company danielneyerbrainworks. He is an Engineer holding a Master Degree in Eco Engineering and a Master Degree in Domotronic and gathered more than 10 years of R&D experience. His PhD-thesis is dealing with assessment and component development of new generation solar heating and cooling systems. He is involved in several national and international projects and is an Austrian expert in the IEA SHC Tasks. His main fields of activities are numerical simulations in HVAC’s and buildings, component and system development and optimization as well as assessment and benchmarking of renewable heating and cooling systems. 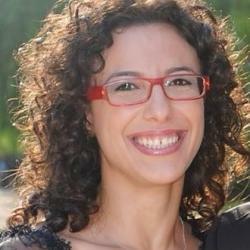 Chiara Dipasquale is senior researcher at the Institute for Renewable Energy at Eurac, Italy. She has a PhD in Energy and a long experience on dynamic simulations of buildings and sustainable heating and cooling systems; development of control strategies for these systems; definition of retrofit solutions for existing buildings. She is involved in Task 53 mainly for what concerns solar energy systems layout definition, modelling, control strategies development and results elaboration. 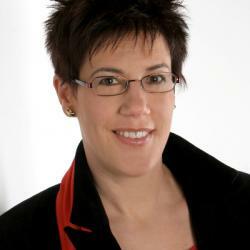 Bärbel Epp is the founder and managing director of the agency Solrico – solar market research & international communication, a network of solar thermal professionals worldwide. She is responsible for the international newsletter on the web portal www.solarthermalworld.org, which has been dedicated exclusively to the solar heating and cooling sector. She graduated in physics and looks back at more than 20 years of journalism in the field of solar thermal energy (www.solrico.com).